Experience the incredible effects of our Women's Spa and Salon in Thane designed to rejuvenate and beautify the skin. Our luxurious spa body treatments aim to hydrate, detoxify, stimulate, and exfoliation your skin from head-to-toe. From the moment you arrive, enjoy the warm and inviting atmosphere, and leave your cares behind. Women's Spa and Salon in Thane date back to ancient times when women soaked in milk baths to soften their skin. Today, modern body treatments offer to beautify and healing properties that aim to smooth and soften skin, while treating a wide range of skin conditions. Somebody treatments, such as body wraps, can also encourage weight loss and the elimination of harmful toxins. Our Women's Spa and Salon in Thane experienced staffs of massage therapist apply the newest techniques to deliver high-quality massage services to People of all ages. Massage therapy can benefit the body in many ways. It has been proven to relax muscle tissue, decrease nerve compression, increase joint space, and promote a better range of motion. It can also provide pain relief and improved function. Massage can also improve blood circulation by enhancing the delivery of nutrients and oxygen to cells. 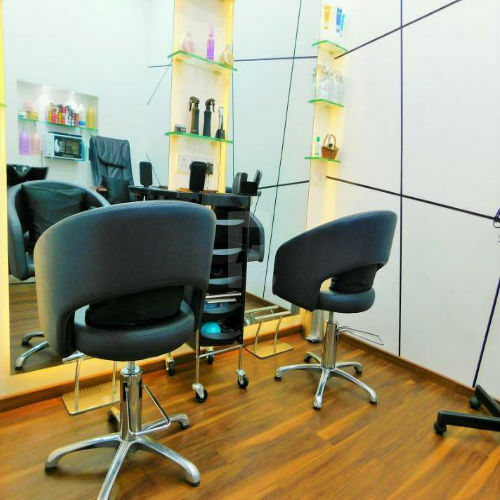 Women's Spa and Salon in Thane Pamper Package has been carefully designed to include all the beauty essentials; it’s perfect for working women, moms and those special ladies who give so graciously of their time and energy to better the lives of others. Stress can be highly destructive on your body and emotional wellness. High levels of stress cause skin irritations, high blood pressure, weight gain and several other problems. At our spa, we know that beauty comes from the inside. However, there is an important link between Women's Spa treatments and uplifting psychological effects. Any type of luxury treatment is going boost your mood, clear your mental space, and raise your confidence because you know you’re looking your absolute best. Women's Spa and Salon in Thane treatments can be very enjoyable because they increase levels of dopamine and serotonin.